Stephenie Meyer’s well-known Twilight Saga is received differently by many. Many women of varying ages love it and will choose which of the supernatural “hunks” they love (team werewolf or team vampire). And then there are many who cannot stand the sight of or bear to listen to anything associated with Twilight. Perhaps Meyer saw these mixed feelings towards her vampire series or perhaps she just wanted to try something new. 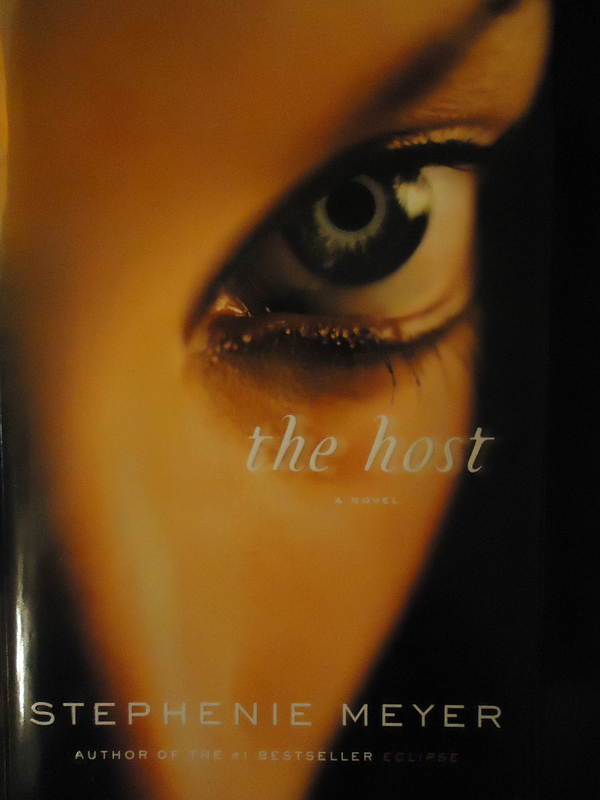 Regardless, before she finished the final installment of her Twilight Saga in 2008, she released a new book that did not have to do with supernatural beings of the night, but rather with an alien race from out of this world and titled it The Host. 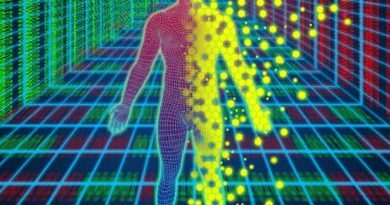 An alien species, known as “souls,” has taken over Earth, the small specimens using human bodies as hosts. The invasion, however, has solved all of the world’s problems: there is no more cancer, no more world hunger, everything is perfect. Wanderer is a soul who has lived on eight other planets in eight other host bodies and is put into the body of young Melanie Stryder to teach other souls of her past lives. However, Melanie is a human who refuses to disappear and fills Wanderer’s mind with images of a man she loves, Jared, and her kid brother, Jamie, who may still be human and are waiting for her. So Wanderer and Melanie go out in search of these two to see if they are still human. Before anything, the editors of this book must be given credit. Unlike the incredibly awful editing done, if ANY editing was done, in Meyer’s Twilight Saga, the editors of The Host did a wonderful and proper editing job to make the reading experience very enjoyable. As for the actual story, it is an intriguing read that basically any young teenage girl will love, but it is also a book adults may find captivating for a one-time read. It is a long read (spanning over 600 pages), but it is a quick read once one gets about a third of the way in. The story itself can be clever at times, but there is much that could have been changed to make it more enjoyable. 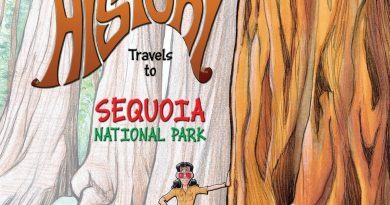 However, it is a young adult book and it definitely hits all of the points young readers, especially young female readers, will find enjoyable. What can be aggravating about teen books that involve end times is the fact that the main character, whether it is a male or a female, always faces the end with a lover. Why not face the end of time with family? Meyer had Melanie have a younger brother, who played a big part in the story, but what about their parents? Melanie is only 17 years old, but acts more like she is in her twenties. 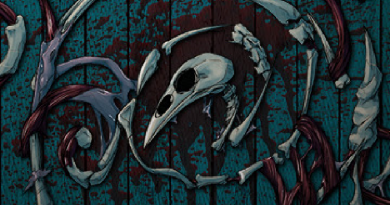 Melanie and Jamie’s father is only mentioned briefly and their mother is not mentioned at all. Why is it always up to the children to face an alien invasion without their parents? Sure, Meyer added Uncle Jeb and Aunt Maggie as responsible adults to watch out for everyone and are also family members to Melanie and Jamie, but there is no backstory to either of them and Aunt Maggie is hardly present. Uncle Jeb is perhaps one of very few likeable characters. It would be nice to see more of a family aspect than a romantic one in apocalyptic teen novels. The romance itself is not awful. Unlike young readers choosing teams like in Meyer’s Twilight Saga, both Melanie and Wanderer get their respective guys, Jared and Ian. This is actually very thoughtful of Meyer to do. However, with how young they are (besides Wanderer who is thousands of years old), they do have a tendency to have poorly executed dialog on how they feel about one another. For example, during one of Melanie’s memories, Jared tells her that he would rather choose her over the world… Choosing one person and allowing seven billion others to die? This may be romantic for young teenage girls, but in actuality, this is just stupid and will cause many more mature readers to roll their eyes. What is lacking in The Host is the science fiction aspect. Meyer tells the readers about the “souls” and how they affect the planets they have taken over, but she does not really touch upon the other planets themselves. Wanderer has been to eight planets before Earth and only a handful of these planets and the beings that live upon them are briefly mentioned throughout the book’s entirety. With how long the book is, Meyer could have easily taken out more of the long and somewhat unnecessary parts and added stories about these planets. With how often Melanie gives Wanderer her memories, it would have been interesting to see Wanderer share memories from other worlds with Melanie. Instead, Meyer decided to focus more on how Wanderer finds Earth and humans to be the most fascinating she has ever encountered and focus more on the relationships rather than allowing the imagination to run wild across the galaxy. Compared to the Twilight Saga, The Host does prove to be a better story. Though it lacks the science fiction feel, the story itself is intriguing enough for a one time read. For an end of times alien invasion story, it really shows humanity’s capability to adapt to change and humanity’s willingness to survive. 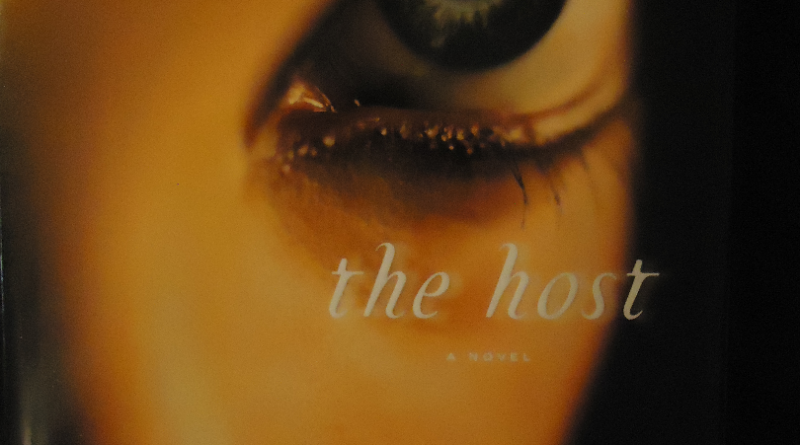 If older readers are to read anything written by Meyer in their lifetimes, they should read The Host. It is a more intriguing story and one only has to read one book and not have to suffer through four.